Let’s Talk About… the Nintendo Entertainment System! I mean, what can you even say about this system that hasn’t been said already? I’ve already blathered on about how Santa brought me Kirby’s Adventure to be my very own game after M.C. Kids and a horrifying Seseame Street game didn’t work out. I spent so many hours with that game… Sometimes my brother or sister would play with me, and sometimes I could even convince my parents to hang out while I played, but I remember being so proud when I finally beat the game all by myself. Considering I was *cough cough* years old and I had been trying and failing and trying to beat The Adventure of Link for so long, it was quite an accomplishment. I know it’s his arm, but I always liked how it looked like he was smiling as he rode the warp star. And I know I’ve talked about how much I loved Winter Games, and how much I loved (and was good at) the speed-skating event (ironically one of my favorite events in the real-life Winter Olympics, as well). Or how I never understood why making the figure skater fall own resulted in higher scores. Oh, and the poor ski jump guy would would sometimes be purposely crashed because his little ski’s looked funny sticking up out of the snow. Or my love of Zelda II, which I will probably never beat but was my first foray into Zelda games and RPGs, even though I didn’t know it at the time. Either way, the time I spent with that game was amazing. Even Reddit validated my opinion. The world almost ended. I suppose one of the hot topics going around about retro versus current gen is whether the games were harder back during the NES days. And you know what? I’m not sure. I actually sat down and made a list of things that were hard about NES games and hard about current gen games, and they worked out fairly evenly. NES games were fairly opaque sometimes regarding what you were supposed to do (which has whiplashed in the other direction with some current games), but current games sometimes provide such diverse combat/skill mastery needs and complex story lines with moral dilemmas. I would hardly say a game like Dark Souls is easy, but I wouldn’t say a game like Kirby’s Adventure is particularly hard, either. I think sometimes what has changed is simply a matter of devs trying to make the games inclusive for people who maybe aren’t as versed in a particular type of game, or adding markers so you don’t get lost forever in a giant world map. Once games became three dimensional, and even moreso once games became “open world” or “sandbox,” it was harder for a game to just hope you’d intuit everything about it. Sure, we still press all the buttons when we start a new game to see what they do, but the first time I picked up, say, Dragon Age: Origins, I was glad there was a tutorial teaching me about the radial menu and power mapping, because I hadn’t come across that before and that’s not something you can exactly intuit the same way you can intuit what Mario is supposed to do in Super Mario Bros. So, as always, it’s complicated. What do you think? What is your favorite NES memory? Do you think gaming was simpler back then, or were games much more difficult than they are today? Let me know in the comments! Thanks for stopping by, and I’ll see you soon. Hmm … looking back on it, I do think that it’s probably pretty even. There are likely just as many retro games that I’ll not finish as there are current gen, and jsut as many reasons why spread between them. As to the NES, I never owned one myself, but always enjoyed toiling away on Super Mario Bros 3 when I had the chance. Yeah. I think they were hard in different ways (like, no save files were awful and made the game more tedious, but it wasn’t a *harder* game). And I definitely have a similar log of retro games as new ones I’ll never get to! That was the good thing with my small group of friends the time. Some of us went for Nintendo, and sins of us Sega, so we got to play on the console absolutely the time. pain, especially in games with no password system! There are so many great games on that system, aren’t there? I’ve never heard of Defender of the Crown, but it sounds pretty cool. I never got into the handheld gaming scene, so I wish you the best of luck with your foray into that world! It wasn’t especially famous and the graphics were poor even by NES standards but I enjoyed it. Almost no games had a save feature and you were lucky to find one that bothered giving you passwords. The majority would give you 2-3 continues and then it was tough luck, time to start over again. I can’t think of a single modern game that I’ve been unable to finish at least once because it was too hard. I could name dozens from back then. On the other hand it’s also the system I find myself going back to more than any other since then. It’s hard to tell if it’s just the intense nostalgia factor or if it was really just that good. I’d like to think it’s both. I fried my Famicom once because of that. Darn lack of save features. Doing the old leaving it paused all night and hoping no one noticed trick? Yup! And of course that my parents noticed once the thing broke. The save feature thing certainly made gaming a bit more tedious, didn’t it? I wonder if the difficulty also came from devs not really knowing what to do with home consoles, since kids weren’t feeding quarters into arcade cabinets anymore. I mean, a game like Battletoads is just stupidly hard for no reason. But, so is Dark Souls. Different reasons, sure, but both are ridiculous. I wonder if the “hard games” were just designed poorly or confusingly? And is that a merit for the generation? I would say my memory of NES games was that they were much less forgiving than their modern counterparts. Limited saving, checkpoints and minimal lives made many games a grind. It seems like the lack of save feature is what made the games difficult, instead of the gameplay itself. Do you think that’s a merit for the generation? Yeah, I think that’s very valid. Old games were hard in a different way. A lot more punishment on top of the challenge. New games may be just as, if not more challenging, but they’re more feasible to complete because you’re not being punished and having your time rolled back after failure. I know I’m a lot more likely to beat a classic game when I have save states at hand, because they remove the most severe punishment of those games. It feels like newer games are actually meant to be beat a lot more than the old ones were as well. A sign of the medium’s maturity, I think. As they started telling more stories, they wanted to make it more feasible for most players to see that story through. “Punishing” is a good word. I also think that we’ve graduated out of the “arcade” stage of gaming, where part of the idea was to set up the game so kids kept feeding coins into the machine. That mindset is reflected in a lot of early games (no saves, limited lives, etc.). I agree that the advent of storylines in games really helped move the medium into a new “era” of gaming. I did recently purchase a NES a couple years ago, replaced the faulty 72 pin connector, and still have it now. I have 2 games for it I still need to play/try to beat: Zelda 2 and Duck Hunt (I bought a cheap old TV so the gun works now!). I loved playing the first Zelda and Metroid on it. 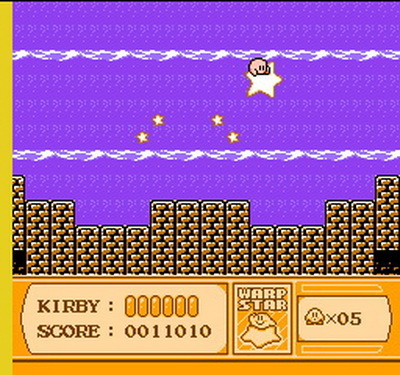 I need to track down a copy of Kirby’s Adventure! It looks very fun. I did have to cheat to beat Metroid, so retro games can be very frustrating in the difficulty department. I think I was talking to TSN about this before, but back in the day, your reward was actually beating a game. Most of today’s games reward the player with stories and/or some type of achievement system. Back in my day we had to walk 70 miles through lava in Metroid with no map or save room and usually all we got for all our hard work was a screen with a line of text like A WINNER IS YOU! And conglaturations for that, at least. I know, right?? Crazy… And NES or SNES, Kirby is always awesome! I recently re-acquired a NES after my sister appropriated the “family” one, and the connector seems to be having an issue. I’m going to try cleaning it again before replacing it, but yes, hold on to your tube TV for light-gun games!! 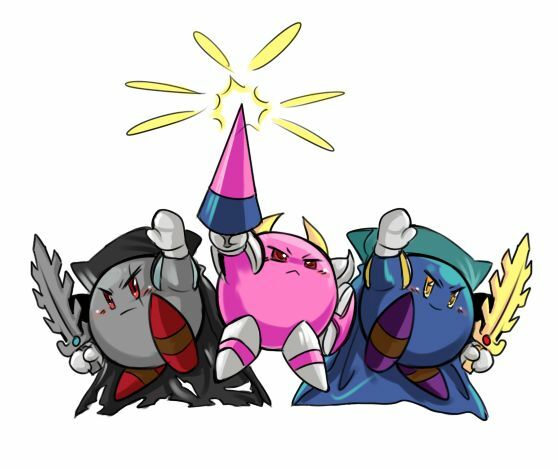 Man, if you can find Kirby’s Adventure, definitely check it out. It’s probably so easy when you’re not, you know, five, but it’s a cute little game nonetheless! That’s a fair point. Self-satisfaction was (and is, in a way) the best reward for completing something, instead of getting a trophy for showing up and playing the storyline (cough cough). But adding motivation is just that – motivation. Do you think that makes games seem less difficult? The connectors are super easy to replace! All you need is a screwdriver, haha. *ponders question* 🤔 I’m not sure… I know when I was younger I got more enjoyment out of challenging games, because I didn’t have many games to play. These days I’m sitting on a massive backlog mountain and I’m not ashamed to cheat or turn the difficulty down just to see the story, so I can move on. I’ll admit I’m a PSN trophy addict. That’s all the motivation I need, haha. I think if you’re motivated to play something, it’s going to seem less difficult to you since you are enjoying the whole experience. Yeah I’ve opened up the NES because I first tried to clean the connector, but it did’t seem to work so I’ll be going back in at some point to replace it. I think there’s a difference between punishing and difficult, and a difference between what gamers want. As the folks who played on the original NES get older, maybe we yearn for the punishment of yesteryear, but would get annoyed now because we don’t have the hours to play that we once had. Regarding cheats and difficulty, I’m of the opinion that if you’re enjoying the game, that’s really all that matters!! And I still bow to your platinum trophies! Be careful what replacement connector you buy. Mine is a little tight so I have to rip the games out with more force than I’d like to use, haha. I think nostalgia plays a big role in how the player perceives the difficulty. It’s a tough call, but I’m tempted to say the NES era was harder than today. So many different reasons, but a lot of people here mentioned them already – lack of save feature, poor instruction, etc. Now, sometimes the inverse is the problem – too much hand-holding that makes us pine for those hold, hair-pulling days. One of my other favorite go-to conspiracies for unrealistic NES difficulties is the rental market… looking back, it seems like some of these games were designed for my mom to hand over a few bucks to the rental store, week after week after week, always for the same title. There’s exceptions to everything though, so your example of Dark Souls vs. Kirby is spot on. I loved Dark Souls for that very reason – I wish more games would embrace the brutal punishment! I wonder if the retro games were “harder” because they were designed like arcade games, which were meant to keep kids feeding coins into the machine. There is definitely some hand-holding in modern games, but there are also a lot of games that (in my opinion) let the player try and explore and figure things out for themselves, which is nice. I’m not really a fan of “brutal punishment,” I don’t think, but I’ll agree that a challenge is very much appreciated!! I definitely think that games used to be harder, generally speaking. Maybe it’s because at the time gaming was still closer to the “arcade experience” and that was basically a drain of quarters. I mean, I only know one person who finished Prince of Persia. And at the time he was my neighbourhood’s video-game/computing expert. My favorite NES memory is probably pausing Ninja Gaiden about halfway through the game at about midnight after my mom yelled at me for still being up playing (and to shut it off), getting in to bed and waiting (staring at the little red light showing that the NES was still on) for my parents to get to bed and then stealthily (at least in my mind) got out of bed turned on the television, lowered the volume to just barely audible levels, and continued my game. Eventually beating it. Ha! That’s a great story. It’s amazing what kids will try and get away with – or perhaps what parents will let their kids get away with…? Congrats years later on beating Ninja Gaiden! As for the difficulty, I think games of yore were more straightforward with their goals, but more difficult in their execution. They exemplified the trial and error method in ways that don’t seem as prevalent today. More modern games are bigger in scope, so I think they tweak other difficulties to balance it out. That’s awesome! haha It’s funny that gaming is able to somehow create temporary truces between siblings, isn’t it? I think you’re on to something with the difficulty. The lack of save files did’t help, either. Others here have called the games punishing in that regard, rather than hard, and I think that’s an interesting description! You’re right though, that modern games are so bigger, *something* had to give. Also, we’ve really left the arcade era behind, so the focus of games doesn’t have to be “die a lot so the kid has to feed coins into the machine,” which is the model that early games followed. Ah the arcade angle is such a good point! THAT was the model for those games, so they really forced you to get good before you ran out of quarters. The lack of save files (or consistent use of save codes) was definitely a contributing factor. Some have called the games more *punishing* but not necessarily harder for that reason. Lol yup, good old trial and error. I had a kit with some fluid that I used to clean those bad boys out to.